William Meltzer has more than 30 years of legal experience working on a wide variety of real estate transactions. He represents developers in conventional and municipal financings. Bill previously served as the assistant general counsel for Continuum Health Partners, where his responsibilities included representing the member hospitals in real estate sales, leases, financings and real estate-related litigation. He also served as Continuum’s director of real estate, managing the operations of the company’s owned and leased residential and commercial properties. Prior to that, Bill served as deputy general counsel and secretary at the New York City Housing Development Corporation, where he closed dozens of complex mortgage transactions. He was also a senior attorney with the Federal Deposit Insurance’s New York Legal Services Office, handling mortgage foreclosures, workouts and the disposition of the real estate assets of failed banks. Bill’s experience includes work on tax certiorari, cooperative conversions, sales and commercial leasing matters. 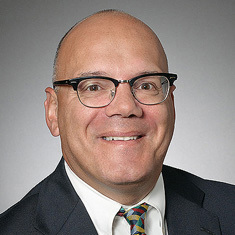 He has represented lenders in mortgage transactions, sponsors in cooperative conversions, boards of directors of cooperative housing corporations and property owners before the New York City Environmental Control Board, New York City Buildings Department and New York State Department of Environmental Protection.